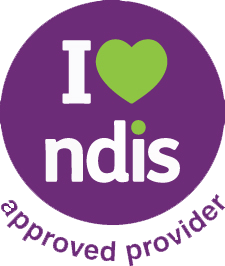 The new NDIS Price Guide 2018-2019 came into effect on 1 July 2018. The NDIS updates their price guide each year. The funding in your current NDIS Plan and your service booking (if NDIS managed) increases automatically to match the new rates for services. The price of therapy services for our NDIS clients is aligned with benchmark rates noted in the current NDIS price guide. Therapy services for our NDIS clients are priced at $179.26 per hour, except for people in remote parts of Australia where an additional loading applies. Therapy services include face-to-face appointments, phone consultations, report writing, making referrals, coordinating services, collaborating with your other service providers, sourcing equipment, organising home modifications and progress reporting. Our therapists provide services at our offices and we can often provide therapy in a location that is most convenient for you, such as at home, child care or school. There is a price for travel if we provide therapy out of our offices. The price of travel for our NDIS clients is also aligned with benchmark rates noted in the current NDIS price guide. If we provide therapy to you in a location in metropolitan Brisbane, there will be a travel charge of up to 20 minutes per appointment at the same hourly rate as the therapy being provided. Travel will not be charged for appointments in our offices. For therapy services delivered in regional Queensland areas, there will be a travel charge of up to 45 minutes per appointment at the same hourly rate as the therapy being provided.